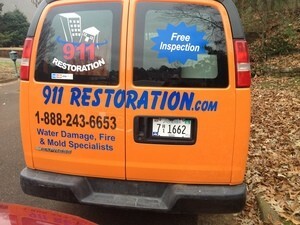 911 Restoration Middle Tennessee and the water damage Hermitage team are available when you need us so that we can make sure all of your needs are addressed immediately. We can do everything for you from water extraction, mold remediation and prevention, reconstruction, and sanitation. You get the full service treatment because every resource we have at our disposal is utilized for you. Same-day service for all emergencies. The fresh start is founded on the principle that you deserve the best. We just don’t say it, as the work we provide your home will make that self-evident. The solutions we provide you are top of the line and they are as reliable as we are. The fresh start begins when we walk through your door. Pick up the phone, and call our water damage Hermitage team with 911 Restoration Middle Tennessee for all the help your home needs to get back on track today! A flood can breach your home in seconds, which can cut power to the home and leave it susceptible to water damage. When this happens, we want you to know that you can trust us to take care of it for you. The licensed, bonded, IICRC certified, and insured team will work as fast as possible because getting you back on your feet is how we get you back to one peace. When we arrive, we immediately start to vacuum out any stagnating water. The years of experience we stand on allows us to fully inform you of the damage done to your home. For example, carpet cannot be restored after flood damage, so you need a restoration team that you can trust in taking care of you the right way. After all pooling water is removed, dry-out starts using industrial sized dehumidifiers. These heavy-duty machines cost upwards to $15,000, which is why we recommend that you call trained professionals such as us. Finally, after the place is dry, we treat it with antimicrobial solution that is completely safe for you. If you are in need of the same level of service, give us a call. 911 Restoration Middle Tennessee is a big advocate of disaster readiness. The flood cleanup crew wants you to be ready for whatever may come your way. However, readiness can be as effective as finding higher ground such as a second story or a roof top. Your safety is always the top priority, so before storm season, stock up on these goods. Food, at least 3 days’ worth. Water, enough for a week. A spare cellphone with extra batteries. Flare, to signal emergency services. Extra cash as electronic banking will be limited. During flood the National Weather Service Agency will issue out a warning. Now, these warnings are not a 100%, but you can still prepare yourself. One of the most proven ways to mitigate and limit damage is by sand-bagging. It is time consuming, so your efforts may be limited to certain areas. When an accident does happen, trust in the restorative abilities of the restoration crew. Things will be better than ever. We live by that creed. Don’t let your property be overrun with flooding when you least expect it. 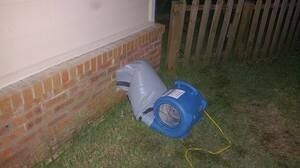 Contact our water damage Hermitage team with 911 Restoration Middle Tennessee for immediate help today!